The Radio Club of Tacoma was founded in 1916 and is one of the oldest amateur radio clubs in the United States. In October of 2016 the Club celebrated its 100th anniversary. 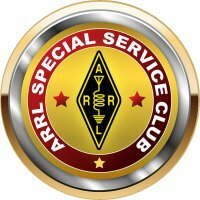 We've been affiliated with the ARRL since 1920. During World War II, when the FCC shut down the Amateur Radio Service the Club remained active, even though the operators could not transmit. Typically, the Club has about 300 members. RCT is unusual both in longevity and in its ownership of real estate that was purchased in 1957. The property consists of a two story house - the "Clubhouse" - and an adjacent lot used for parking and various outdoor radio activities. The pages below provide detailed information about the Radio Club of Tacoma's organization, the Clubhouse facility, public service and educational activities, radio operations, nonprofit status, and proud history since the Club's founding.